Patients hate needles. Manual attempts to provide a pain-free injection – every time – are not humanly possible. Why unnecessarily make injections a negative experience for your patients? 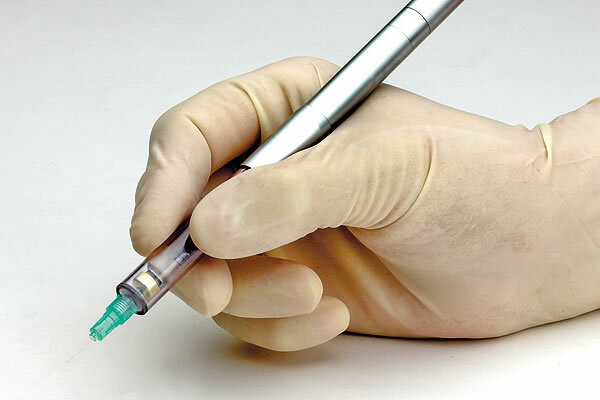 Hand-held anesthetic syringes are neither ergonomic nor efficient devices. Why struggle day in and day out and limit your possibilities to control pain? Alveolar Blocks don’t always work, often due to needle deflection. This doesn’t have to be guesswork. When patients need restorations in two quadrants, why take two appointments only because of limited anesthetic techniques? 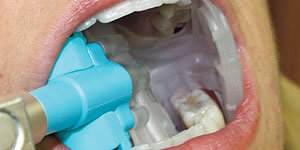 Intraligamentary, palatal, AMSA and P-ASA injections can be useful and productive. Why avoid them when they can be predictable and pain-free? Take the stress out of injections with Calaject! The traditional anesthetic syringe is an archaic device that has not evolved much in the last century. It delivers anesthetic but does nothing to help you control your injections. 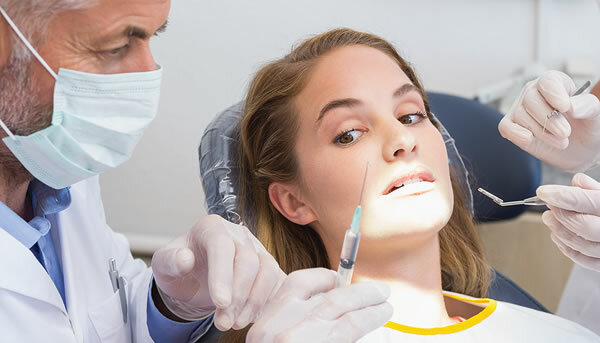 The pain felt during injections is not due to the needle, but is due to anesthetic flowing under finger pressure through the patient's soft tissues. It is not possible to consistently hand inject under this pain threshold for all your injections. 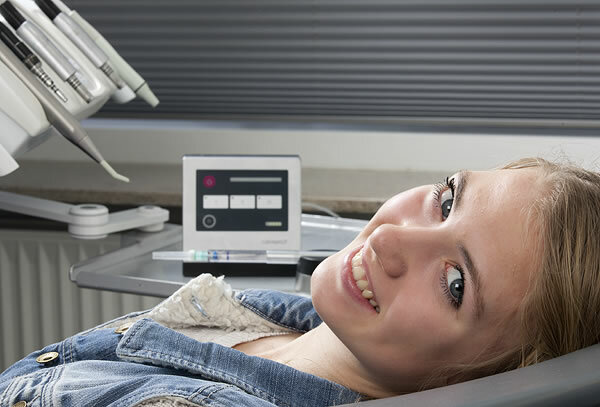 Calaject has three one-button, automated programs that control and optimize anesthestic flow - below the pain detections levels. The pen-like grip increases tactility and allows you to sit in a relaxed and ergonomic position while injecting. You use no finger power and avoid straining muscles and joints. 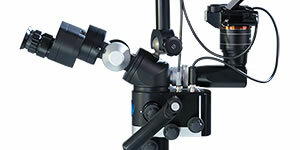 Finger support allows the needle to be kept perfectly still during the injection. Your first injection of the day will always be as consistent and pain-free as your last. Emptying a carpule of anesthetic evenly for a 45 second procedure is a challenging task - much less doing it time after time during the day. 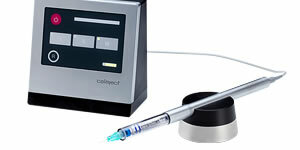 Let Calaject do the tough work for you - automatically providing the right anesthetic flow rate for all your injections. Calaject has been designed with 3 simple program settings - pdl, infiltration, and block. Simply press the button and let Calaject do the rest. At the end of your 1st day of use, you will have replaced you current injection techniques with Calaject. Needles deflect, and with traditional syringes, it is not possible to continually rotate the needle to offset the known deflection. 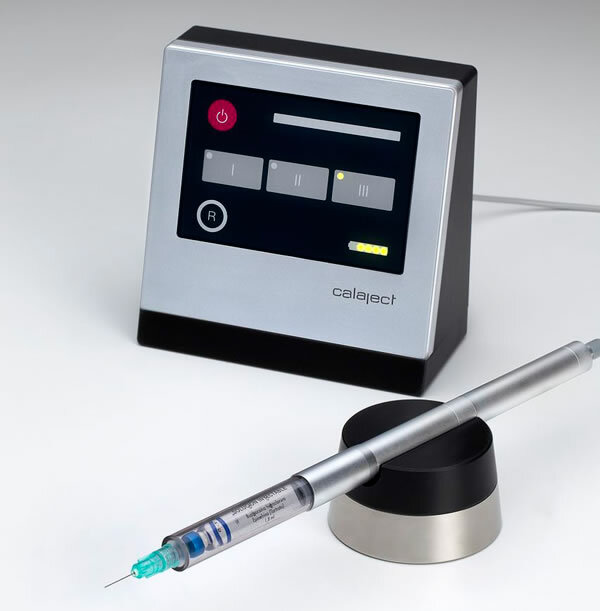 Calaject allows you to reach the injection site with a simple bi-rotational technique for more precise and effective injections. 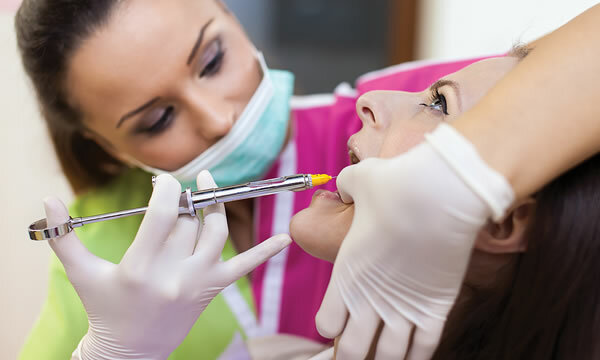 Since hand injecting makes it difficult to accurately control the anesthetic dissipation, much anesthetic can be wasted and anesthetic onset is delayed. Calaject users comment that onset is quicker with Calaject. This is due to the controlled flow rate and more precise dissipation. 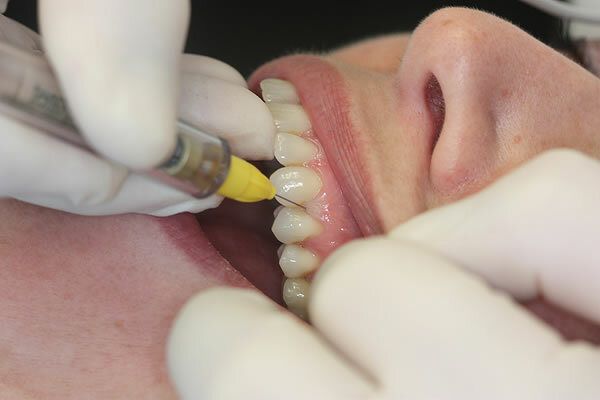 With Calaject, painless and precise pdl injections can routinely be used as either primary or secondary injections. 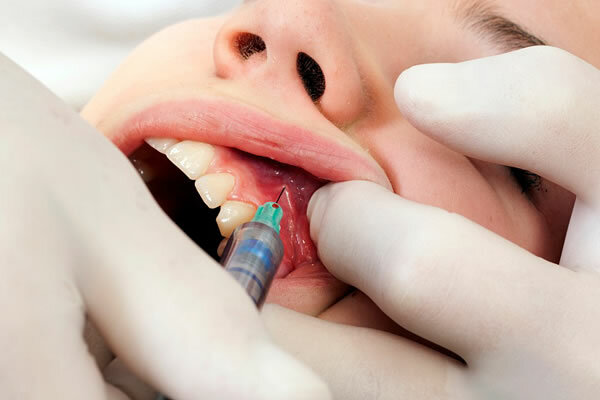 In addition, several palatal injections AMSA and P-ASA are precise and pain-free. Some of your investments in you practice have very little to no impact on patient retention. All you patients will notice and be appreciative of your investment in Calaject. They are unlikely to move to another office that does not use Calaject. 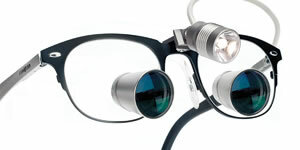 If patient awareness of such devices is not that high in your area, Calaject is an experience that patients talk about. Associating your practice with pain-free care goes a long way to attracting, bringing in, and keeping new patients. Other popular computer controlled anesthetic devices may require you to purchase an expensive disposable with every injection. This disposable will cost many times the actual cost of the device over its lifetime. Such costs make many clinicians reluctant to use their devices on every patient, and this of course leads to other problems. Calaject has no disposable costs. Set it up in your operatory and your cost per injection, based on the cost of the unit, is only pennies. A single Calaject can used in multiple operatories, though many users will acquire several units.